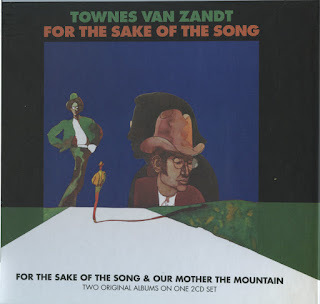 Townes Van Zandt wrote songs with an uncommon grace and poetic clarity, and he sang them with a voice that was at once straightforward, eloquent, and mindful of the arid beauty of his images. 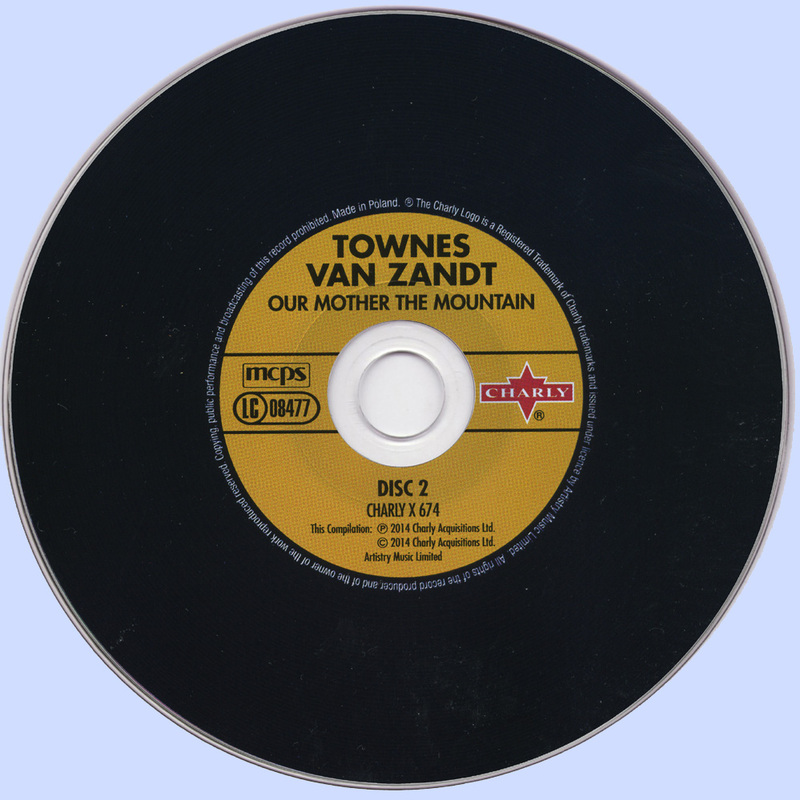 A decade after Van Zandt released his first album, there would be dozens of singer/songwriters following his example, but he was a rather unusual commodity when For the Sake of the Song was released in 1968, and the album's production and arrangements occasionally suggest that Jack Clement and Jim Malloy didn't always know what to make of what he brought them. 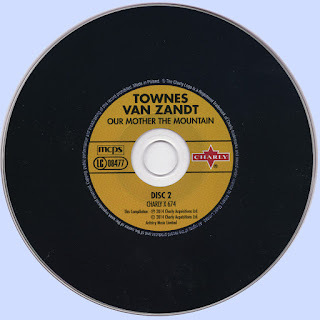 The 11 songs on Van Zandt's debut are all fine stuff (even the throwaway novelty "Talkin' Karate Blues" at least brings a chuckle), and the emotional force with which Van Zandt delivers "(Quicksilver Daydreams Of) Maria," "Tecumseh Valley," and the title tune belies the fact this was his first album. But on several tracks Clement and Malloy attempt to match the elusive mystery of Van Zandt's music with overblown accompaniment and deeply echoey recording, especially the cheesy chorus on "The Velvet Voices," the clichéd Western accompaniment of "I'll Be Here in the Morning," the tinkling keyboards on "Sad Cinderella," and the rattling percussion of "Waitin' Around to Die." In spite of the occasionally misguided production, For the Sake of the Song remains a classic debut. These songs make clear that Van Zandt's genius was already fully formed, and as both a composer and a performer he was a man of rare gifts; even when the backing threatens to drown him out, his gifts come shining through, and For the Sake of the Song was an auspicious debut offering from a talent of the first order. For those of us who discovered Townes Van Zandt late, after he'd already reaped the damages of his life, the image is seared into our collective memory. In his latter days, Van Zandt's impossibly thin frame had weathered to the point that he looked like the fates had left him alive out of spite. Years of travelling, hard living, and an addictive streak had taken their toll, but he never lost touch with the crucible of experience and emotion that had fueled his songs from the beginning. His last performances were reportedly so full of emotion that several ended short with Van Zandt wracked by pain and emotion. Such wasn't always the case, a fact made plainly clear by Tomato's recent reissues of Van Zandt's early material. At the somewhat tender age of 24, Van Zandt eased onto the folk/country scene with songwriting wisdom beyond his years, as if he'd gotten the chance to look ahead at how the years would waste him and write from that perspective. Not everything Van Zandt wrote had one foot in the grave, but he was obviously attuned to the blues and even his songs about fresh love often carried the scent of impending heartbreak. Even at the beginning, he looked like a good wind could blow him across three counties, but his voice was strong and his songwriting possessed a pureness and clarity that he should have needed many more years to attain. Right out of the gate with 1968's For the Sake of the Song, Van Zandt already held several signature songs in hand -- "Tecumseh Valley", "Many a Fine Lady", and "Waiting Around to Die", and the title track -- but it's a wonder he got the chance to record any more. For the Sake of the Song may be a product of its time, when a specific "Nashville Sound" was no less entrenched than it is today, but the arrangements on Van Zandt's first batch of songs are inappropriate at best, unintentionally hilarious at worst. Even without the benefit of hearing much better, much less cluttered versions of these songs, most listeners would agree that the production doesn't match these songs at all. Producer Jack Clement has since apologized for over-producing For the Sake of the Song, but "overproduction" may be an understatement. Van Zandt entered the studio with nimble picking, an Old World flavor by way of Appalachia, and a confident voice. Clement met him with harpsichords, flutes, martial drum beats, and a whole host of backup singers that would make the most overproduced Southern Gospel album hang its head in disgrace. It's little wonder that Van Zandt began revisiting his best songs as soon as possible. His second album, 1969's Our Mother the Mountain, already finds him reprising "Tecumseh Valley". Gone is the brisk pace and percussion that sounds like horse's hooves (that someone thought fit this bleak tale of a prostitute dying cold and alone) in favor of the more restrained version we recognize today. More importantly, Van Zandt makes crucial lyrical changes. On the For the Sake of the Song version, the protagonist "took to walking" and many men chose to "walk that road beside her". On Our Mother the Mountain, she "took to whoring out on the streets with all the lust inside her . . . and it was many a man returned again to lay himself beside her". The arrangement is still a bit spry -- especially in light of Van Zandt's stark live readings -- but it's a vast improvement. "Tecumseh Valley" is one of the saddest and most complete character portraits Van Zandt ever wrote, although it's upstaged by the song that precedes it. "St. John the Gambler" is more mythic and abstract than "Tecumseh Valley" but it's a heartrending portrait nevertheless, especially by the time Van Zandt sings, "she heard his laughter ride down from the mountain / And dance with her mother's tears / To a funeral drawn of calico / 'Neath the cross of 20 years". It's a perfect song -- one that'll make you lose several minutes of your life in a listening trance -- and one of the first instances where the strings that follow Van Zandt's songs are actually sympathetic to the subject and not a hindrance. Our Mother the Mountain also introduces "Kathleen", "Snake Mountain Blues", "Like a Summer Thursday", and the spooky title cut -- no slouches themselves.